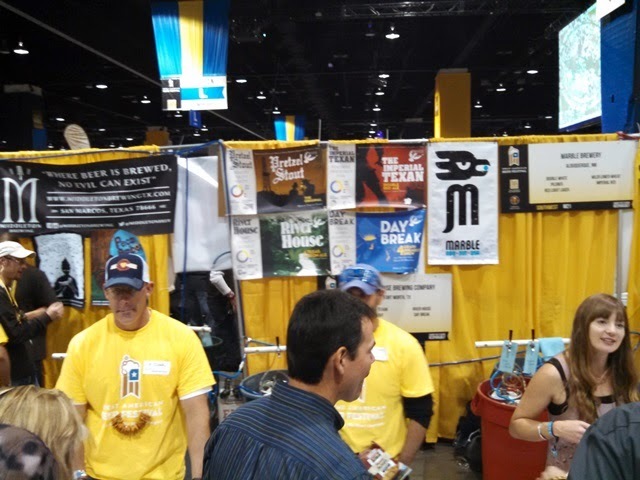 The Beer Model and I attended the Great American Beer Festival last night. You probably remember from yesterday, that we went in with a "plan". We got there late because of having to drop off the kids and taking a new light-rail route with which we were a bit unfamiliar. The nice thing about getting there late is that the line is practically gone. I didn't really feel like we missed all that much either. I didn't start off with E16 Russian River Brewing Company, but I did come around to it eventually to check Supplication off my my Best Beers in America List. I got lucky on the line and it only took me 4 minutes to get to the front. 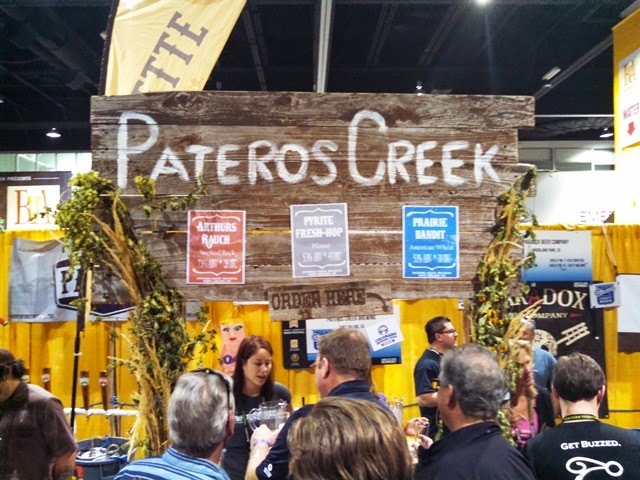 I have a feeling that the line would have been longer at the beginning of the night, so for this beer, it was a blessing in disguise to get to the festival late. I do think that Supplication was the best sour that I had all night. And I had several. As I got in, I stopped by A1 first. Seems appropriate to start with A1, plus 10 Barrel Brewing Company was on my list to try. I had the German Sparkle Party, which is a Berliner Weisse. I had several Berliner Weisse's over the night. Probably the theme of the evening. Also, right at the A section, I had Ching Ching from Bend Brewing Co A6 as planned. I thought this beer was spectacular. I also had Myrtle from The Commons Brewery A15, which I thought was fine, but didn't think it was special enough for me to think it deserved a medal. My brother-in-law had suggested 3 Texas breweries for me to check out. The fist was M3 ... 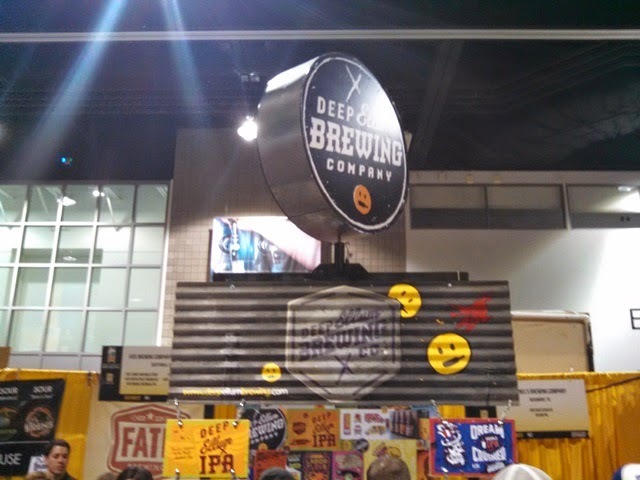 Deep Ellum Brewing Company. 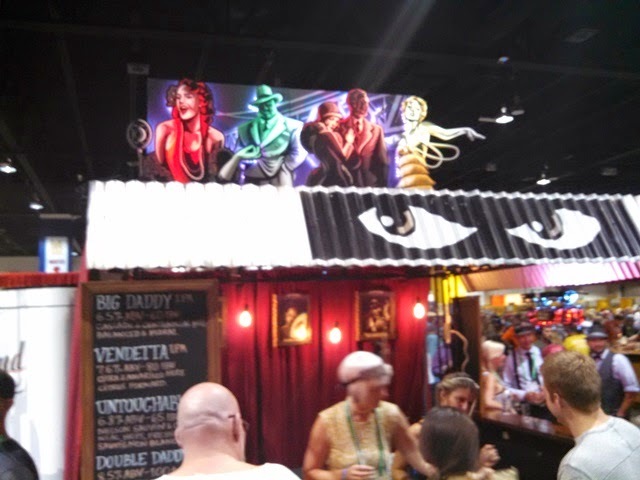 I tried most of the beers they had, but the specific ones my bil suggested were not there. The ones I had were good. The second Texas brewery was M22 ... Martin House Brewing Company. I did actually get to try the "Imperial Texan" which Jon suggested. It was imperial. Again, I thought these beers were good too. 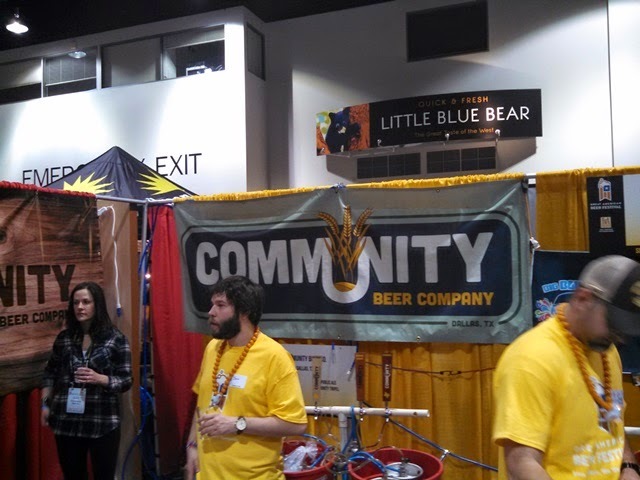 The third of his Texas suggestions was I16 ... Community Beer Company. I thought this had the best line up of the Texas breweries I tried. 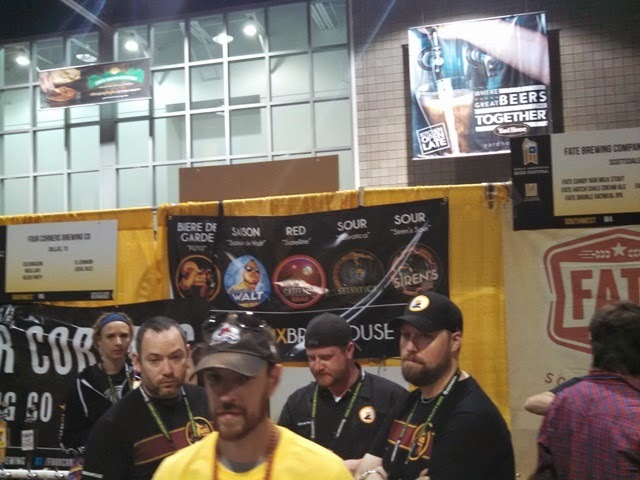 I actually tried every single one of the beers they brought. Of these Commander Rye'ker really stood out as excellent, and the Ascension Coffee Porter was outstanding. 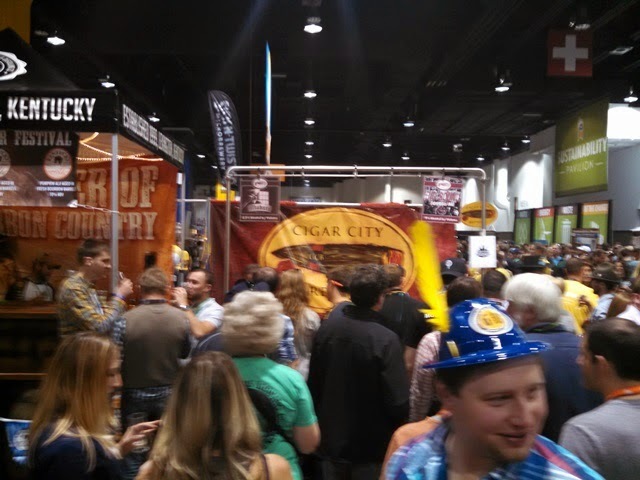 The Cigar City line was not as long as usual, so the Beer Model and I tried one of their beers. Big Sound Scotch Ale was good, but not something I would have wanted to wait long for. Not sure why, but they only had two beer, one of which was Maduro Brown Ale which I had when I was in Florida. 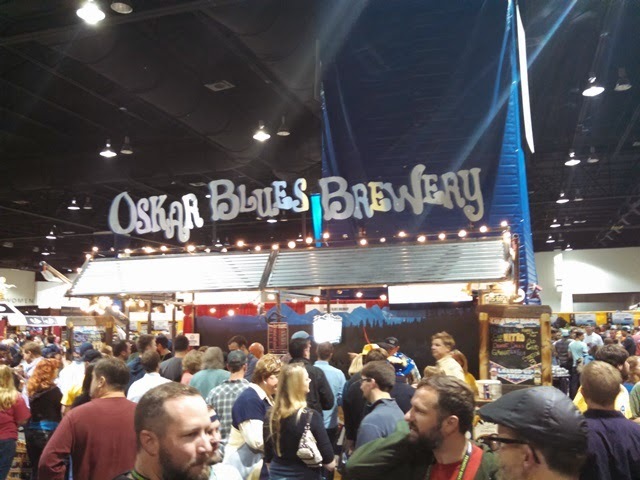 That beer is excellent, but again not something I would want to wait in a long line for. At New Planet Beer Company L3, I had the first Gluten-Free beer that I would actually call good. It was their Millet IPA. We also tried some other gluten-free beers here. 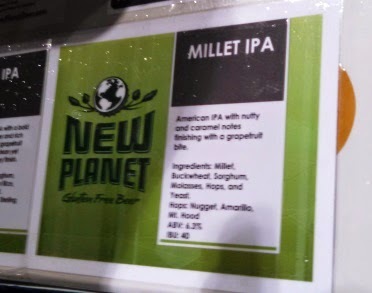 They ranged from "ok for a gluten-free" to "absolutely horrible", but surprisingly the Millet IPA tasted really good. The only Gluten-Free beer I've ever had that I would call "good". I had a Gingerbread Stout. Not something that I would drink a bunch of, but it sure tasted like advertised. 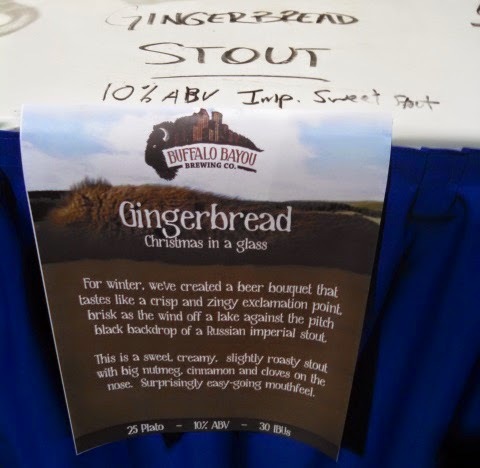 It certainly did taste like gingerbread. 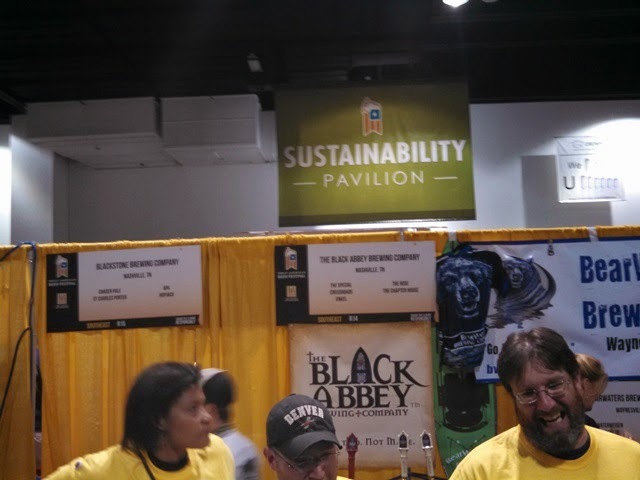 My virtual brewing buddy Swen suggested Yazoo (as he always does) and Black Abbey. Both are breweries in Tennessee, where Swen lives. Both had great beers. Awesome suggestion. 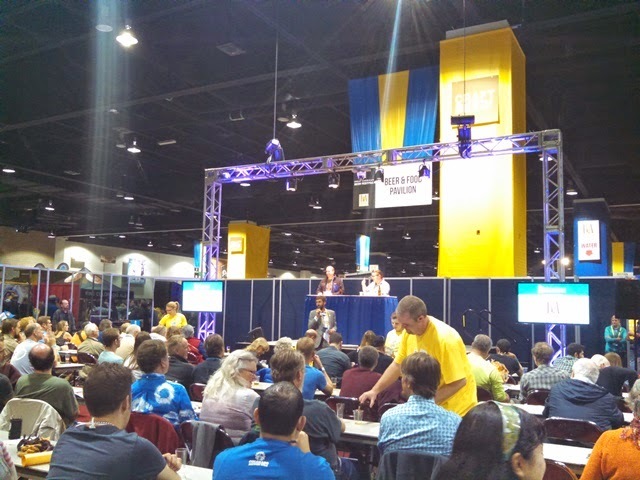 We only got to one of the food and beer pairing sessions this year. " Beer Got Your Tongue". It wasn't very good, and we didn't stay for the whole thing. The food and beer were ok I suppose. I didn't think the pairings were that special. But, it took forever to get through two, and the speakers were not very interesting or entertaining. We walked out after the 2nd pairing. My wife searched out pumpkin beers. Pecan beers seemed to be the thing this year. I searched out and found several sours. All of them were good. I already mentioned the ones that stood out to me. We headed out to walk to the light rail station before 10. We saw the Left Hand limo. That was pretty cool. It took us a long time to get home. The train ride just seemed to take forever. We did get to talk to a nice couple from Kansas. 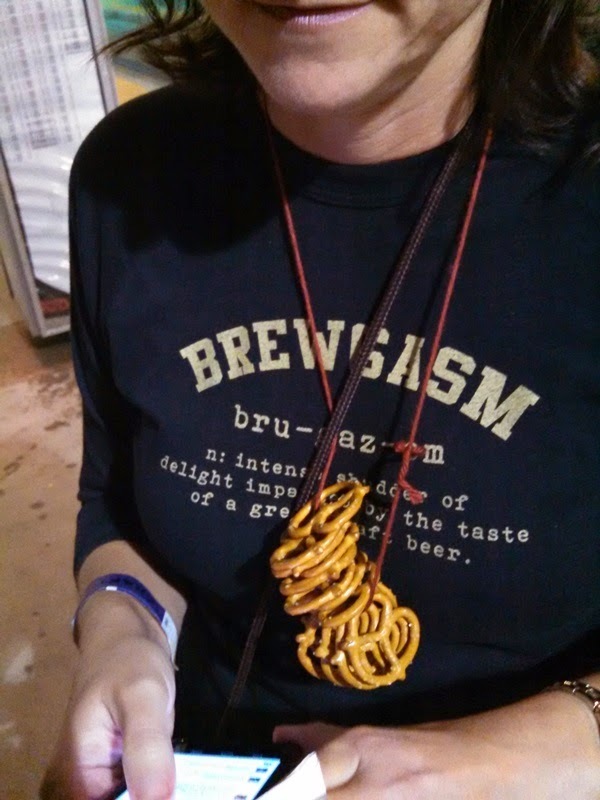 The female of the couple really liked the Beer Model's shirt. Obviously, I do too. 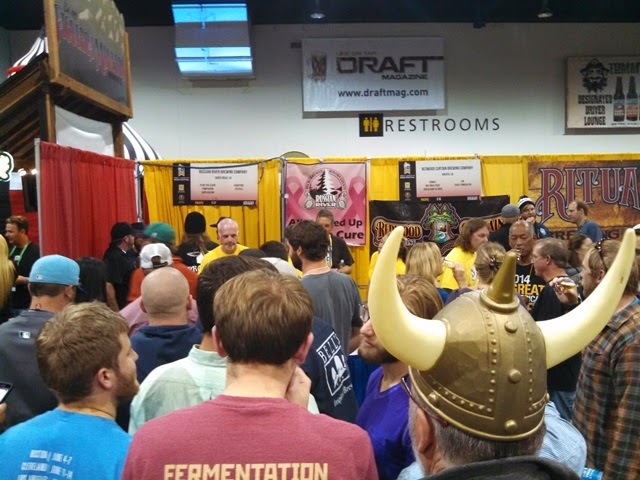 So, that was GABF Friday night in a nutshell. Lots of beer. Lots of fun. Made it home safe. 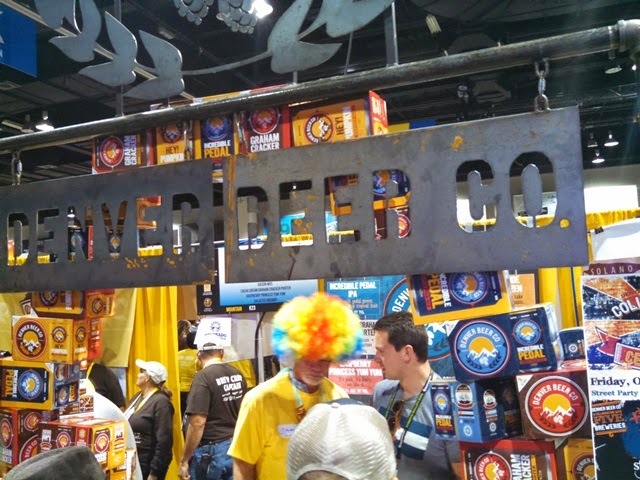 Stay tuned for more GABF. Members session is later today. 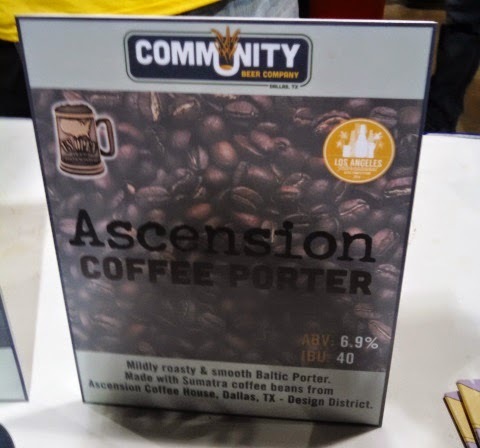 Turns out that Ascension won a medal in the coffee beer category. Told you it was good. Well it looks like Myrtle win again this year too.